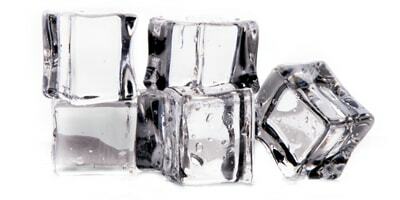 Ice machines that produce cloudy ice cubes, cubes that melt too quickly or crumble before they've been put to use are likely in need of a water filter. Other problems related to using unfiltered water include limescale, which can cause expensive breakdowns while chlorine can add unwanted taste and odours. If you’re using an ice machine, cuber or flaker then mineral deposits (known as limescale) can build up inside your equipment, blocking internal water ways and evaporator plates; damage which, in turn, can lead to expensive breakdowns. Water filtration reduces these minerals, helping to reduce equipment maintenance and leading to clearer, better tasting ice. 70% of ice machine service calls are water related, so water filtration really is a no brainer and essential to reduce breakdowns and minimise costs and revenue loss. Harmful cysts by mechanical means (see individual system specification sheets for performance claims). If you need any advice on ice machine filtration, Aqua Cure have the technical knowledge to help. Whether you’re servicing old equipment or installing new equipment, we're here to help. Contact us today and talk to the water purity experts.